In 1002, fifteen-year-old Emma of Normandy crosses the Narrow Sea to wed the much older King Athelred of England, whom she meets for the first time at the church door. Thrust into an unfamiliar and treacherous court, with a husband who mistrusts her, stepsons who resent her and a bewitching rival who covets her crown, Emma must defend herself against her enemies and secure her status as queen by bearing a son. 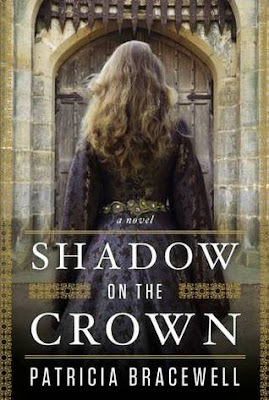 Shadow on the Crown is set in Medieval England in the year A.D. 1002. King Athelred's wife dies in childbirth so he choose Emma, the fifteen-year-old sister of the Duke of Normandy, as his next wife. This alliance with Normandy is an attempt to strengthen his country's borders, but it comes with a price. To achieve his own ends, he agrees to make Emma his Queen and not just his consort. It's a calculated move on Normandy's part. They have given Emma more power than her predecessor, but it's up to her to secure her position. She must produce a son, a potential heir to the throne, to gain power and authority. Without a son, she is very close to being disposable and easily replaced. Athelred already has many children from his previous wife, and he has no need of an heir. His oldest son, Athelstan, is meant to inherit his throne one day. The only problem" Athelstan's mother wasn't a Queen, so there's a chance Emma's child could take precedence. This causes his children and many of his court to distrust Emma, and she must prove herself to everyone. There is so much drama and political intrigue in Shadow on the Crown. The King fears for his people and believes there is a threat within his borders. A questionable decision on his part provokes a fierce enemy, and it's like waking a sleeping beast. In addition to the threat of war, Athelred is a man possessed. He is haunted by hallucinations of his dead brother, Edmund, the previous King who was killed in cold blood. Athelred wrestles with guilt over Edmund's death, and it makes him seem like a madman. He is quick to anger, suspicious of everyone, threatened by everything and slowly going insane from the guilt and fear. It makes him dangerous to everyone, but most of all to Emma. Add to all of that a young woman named Elgiva who wants Emma's position and power for herself. Needless to say, Emma faces daunting challenges in her new role as Queen. These four threads make up the fabric of what Emma must face in Shadow on the Crown: Athelstan's fear that he will lose his position as heir, the King's increasing insanity and cruelty, Elgiva's desire to get what she wants at any cost, and the threat to the country from outside it's borders. The book features the viewpoints of each of these three characters (Athelstan, Athelred, Elgiva), as well as Emma's own. Emma is such an interesting heroine! She's brave at time, fearful in others. She refuses to be conquered and demands respected. She is navigating dark and murky waters and isn't able to avoid all the storms. Seeing her try to find her way in this new world, watching her try to gain some measure of power, is incredibly fascinating. She is both wise and foolish by turns, and I loved being able to experience this part of her journey. Shadow on the Crown ends at a certain point in Emma's story because it's the first book in a trilogy about her life. I knew nothing about this woman before starting the book, but I was excited to read about a time period and Queen that were mostly foreign to me. The book was a little slow for me in the beginning, but I think it's partly because of the complexity of the characters' names and relationships. Once I really began to grasp who everyone was in this story, I sped through the book and couldn't wait to see what happened to Emma and England. If you like historical fiction, I'd definitely recommend that you spend some time with Shadow on the Crown. It took a little time for it to grow on me, but now I'm eagerly awaiting the next book in this trilogy. If you prefer your historical fiction be mostly fact, you may want to know that the author does admit to taking a number of liberties in this book because historians seem to know the least about this period of Emma's life. Since I just want books to be well-written and engaging, I'm not bothered by any of Bracewell's changes. It is, after all, historical fiction. 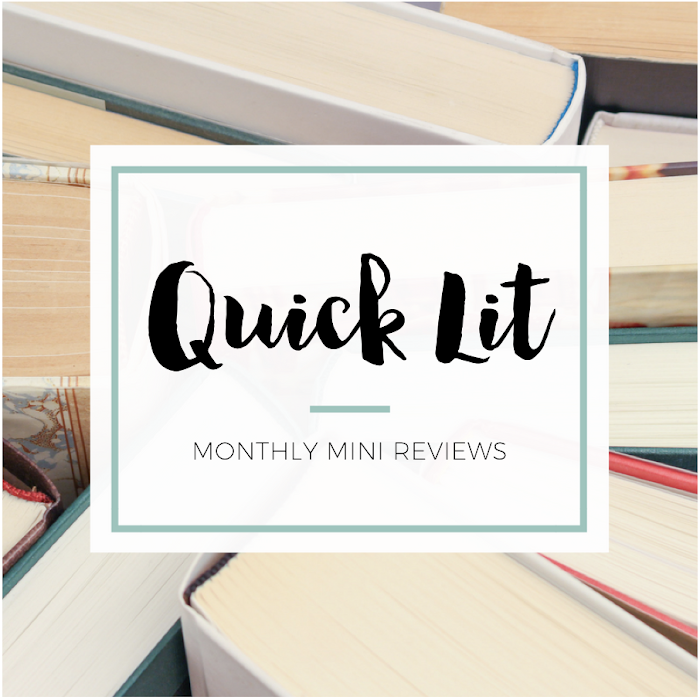 Bracewell's debut was impressive, and I'm excited to see where she leads us in the next book! "Regrets are useless, Emma. They force you to look always to the past. You would do better to look toward the future, to change what is amiss rather than weep over how things came to be that way." *I received a copy of this book from Penguin/Viking in exchange for an honest review. I was not compensated in any way for my review. You know, I wasn't really interested in the politics of royalty until I picked up The Girl of Fire and Thorns. While Shadow on the Crown doesn't have any fantasy elements, it still sounds rather intriguing. Excellent review. This is definitely going on my TBR list. Yay! There were some very interesting politics in this one - but not in a boring way! And it doesn't have "fantasy" elements, but there is a character haunted by the ghost of his dead brother (or his hallucinations of him) so that adds a little bit of fantasy feeling. 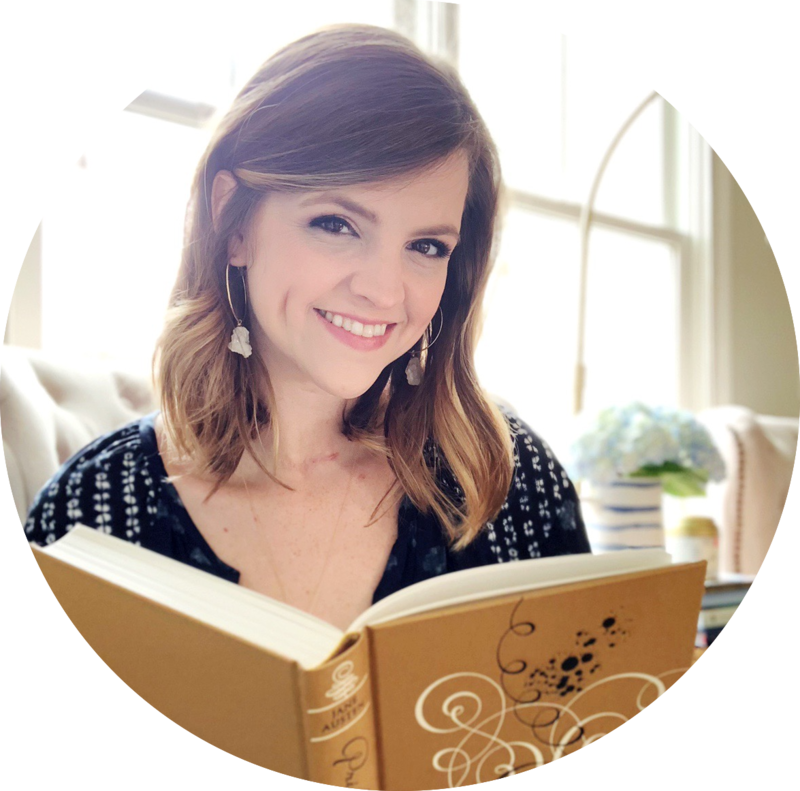 Happy you're adding it to your TBR! I enjoyed this book quite a lot. I think Patricia Bracewell did a good job of setting up the time period and the politics of the situation. I agree that Emma was an "interesting" protagonist! Because I'd read another book about Emma of Normandy before, I had some expectations. Bracewell's version of Emma didn't quite live up to them, but I was still able to root for her. Yeah, I wondered how readers would feel about Emma if they'd already encountered her before (either in fiction or non-fiction). Glad you were still able to root for her, even though she didn't quite live up to your expectations! I love reading historical fiction, though I haven't read many books from this particular time period. I am intrigued by this one however, and the fact that you enjoyed it definitely makes me excited to give this a try! I haven't read many (if any) books from this time period, but this one was definitely intriguing! You'll have to share your thoughts if you read it one day. I love reading historical fiction, so I'm eagerly awaiting the opportunity to read Shadow on the Crown - it sounds like a really interesting book and is written about a time period/people I know basically nothing about. I must admit, I'm a bit disappointed to hear that three other characters are given narrative points of view in addition to Emma (generally not my favorite thing), but hopefully it's well done enough in the book that it grows on me. Oh good, I'm so happy to hear you're interested in reading this one! I really didn't know anything about the time period, so it was fun to come into this book with no expectations. Yeah, the multiple perspectives thing wasn't my favorite but I didn't hate it. I know that's kind of a meh reaction, but I thought the storyline itself was interesting enough that I wasn't too bothered by the many narrators. This sounds super interesting! I do like the historical fiction and I don't mind a few liberties taken here and there. Thanks for the heads up on this hidden gem! This sounds so good! Although I know it would completely trip me up and slow me down, so I would probably want an audiobook to go along with, maybe? And if it is a trilogy, I'd probably want to wait a little longer. But I love that cover and I love what you've mentioned of the plot. 1. I'm not sure on the audio! I think it would help with the weird/unfamiliar terms BUT I wonder if it'd be confusing with the multiple perspectives thing. You should ask April (from Good Books and Good Wine) about the audio. That's how she read this one! 2. I had NO idea it was going to be a trilogy when I started. It focuses on a specific period of Emma's life so it's not cliffhanger-y or anything. The storylines aren't necessarily wrapped up, but it's not super open-ended so that's one bonus.